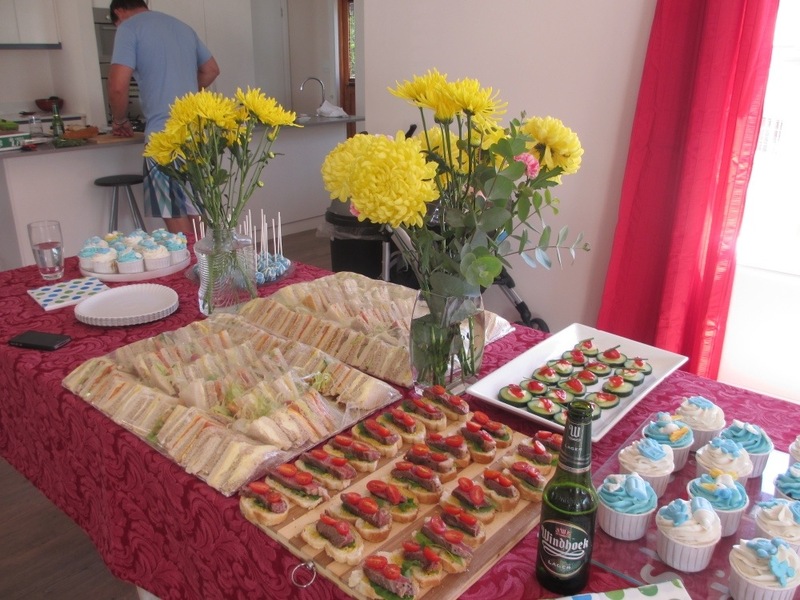 It’s all rather exciting and I was really exciting to host a baby shower for my lovely friends! The D’hot tot will be born this week and it is majorly exciting! It’s been so wonderful to share this journey with this wonderful couple. I know this little guy is coming into the world surrounded with love. I am so excited to meet him and watch him grow up. He is one lucky dude, because he has radical parents! Tam organised some delish sarmies (found a splendid combo cream cheese and pineapple – who would’ve thunk it) as well as some amazing cakepops (must get myself one of those trays to try them myself) and cupcakes. Rik and I made some snacks a cool cucumber vibe as well as some steak sarmie snacks. We also had a co-ed shower – i.e. boys are most definitely allowed. I’m not a fan of the old school segregation baby shower … the dad is also having a baby, doesn’t he get to celebrate it too and be a part of it all? 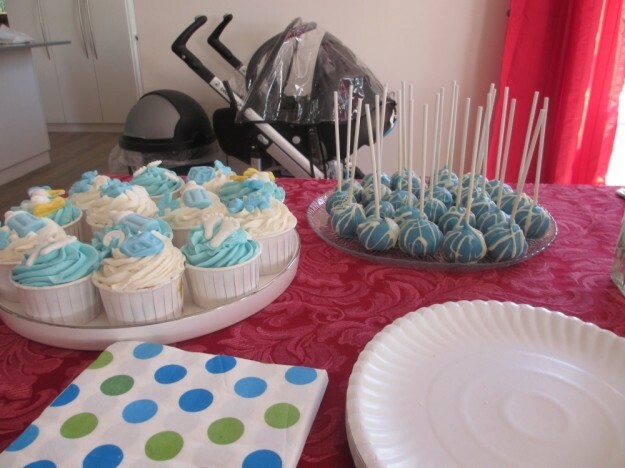 This entry was posted in Play and tagged baby shower, friends, fun, party. Here’s a lesson from the Wad. “You are parents for the rest of your life!”. I love your energy, Tania. All looking good.